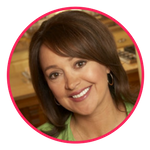 Janet Podleski is the author of four #1 national bestselling cookbooks: Looneyspoons, Crazy Plates, Eat, Shrink & Be Merry! and The Looneyspoons Collection. Along with her sister Greta, she’s known as host of the popular Food Network Canada TV show, Eat, Shrink & Be Merry! and they’re also award-winning creators of a successful line of healthy prepared foods sold at Costco Canada. Janet & Greta are two of Canada’s all-time bestselling authors. Their first cookbook, Looneyspoons (published with the help of David Chilton, of Wealthy Barber and Dragon’s Den fame), became one of the fastest-selling books in Canadian publishing history, with an astonishing 850,000 copies sold. It spent an incredible 85 weeks on the national bestseller list and 8 months at the #1 spot. Not bad, considering the girls self-published the book out of their basement! The sisters’ inspirational, against-all-odds entrepreneurial success story has been featured on countless media outlets across North America, including The Today Show, CNN, QVC, People Magazine, Reader’s Digest, Cityline, Breakfast Television, CTV News, CBC Radio and Canada AM. Fixtures on many a Canadian kitchen countertop, their books and recipes have been the subjects of Trivial Pursuit questions and their famous entrepreneurial story is even studied in university marketing textbooks. In 2001, Janet & Greta stunned the food industry when their innovative Crazy Plates Meal Kits won “Best New Grocery Product of the Year” at the Canadian Grand Prix of Food Awards. Janet, the writer of the duo known for her trademark wit and humour, is a “Certified Health Nut.” (Allergy warning: May contain puns!) She runs a private wellness practice in Ottawa, integrating Natural Nutrition with cutting-edge Mind/Body Science based on the latest in pioneering fields such as epigenetics, quantum biology and energy psychology. She was drawn to Complementary Medicine in 2005 after being diagnosed with a serious autoimmune disorder, which she successfully reversed using natural methods alone. No stranger to hurdling over obstacles, Janet was inducted into the Carleton University Sports Hall of Fame in 2000 for excelling in soccer and basketball…overcoming six knee operations along the way! Today Janet’s on a mission to inspire and empower others so they can produce miracles in their own lives. Prescription: Belief! Dr. Rachelle Viinberg is a licensed Naturopathic Doctor who completed her education at the Canadian College of Naturopathic Medicine (CCNM) in Toronto, and her Bachelor of Science in Biology at the University of Victoria. Along with her busy private practice in the Beaches, she teaches as part-time clinic faculty at CCNM on the Sports Medicine Shift. Dr. Viinberg is a three-time Olympic rower and 2012 Olympic silver medalist, as well as an experienced public speaker. She has presented to major companies such as HBC, Canadian Tire, and GoodLife Fitness, along with National Conferences on Sports Nutrition. Dr. Viinberg has a strong focus on Weight Management, Hormone Balancing, and Digestive Health. Each patient is treated with an individualized and integrative approach. She enjoys guiding patients to attain their health goals in easy tangible steps. Recently Dr. Viinberg and her husband became parents to a beautiful baby girl, which has added a whole new perspective on time management and work-life balance. Sage Tyrtle is a professional storyteller whose stories have been featured on NPR, The Toronto Star, Macleans, Now Toronto and CBC Radio. She is a faculty alumni of the Second City Training Centre and currently teaches The Art of Storytelling at Seneca College. Sage crafts stories from a rich well of human experience – including living in a tent for two years, her schizophrenic lesbian mother and street encounters with local Torontonians – to draw her audience in and enthral them with true stories. Telling stories all over Toronto, including Raconteurs, Awkward, and Real Secrets, Sage's audiences step into her odd life for fifteen minutes at a time. Sometimes their stomachs hurt from laughing. And sometimes they have to re-do their makeup from crying so much. Trudy Murphy is the CEO of ViVaCious Leaders. She speaks and writes about business leadership and marketing for entrepreneurs and executives. With years of corporate experience in process design and change management, and having successfully owned and sold local businesses herself, she is acutely aware of the challenges facing business leaders. When she's not organizing the ViVaCious Leaders Conference, you'll find her speaking on stage at other events or on the water racing yachts. As she grew up, Clare figured out how to cope with the challenges of being a “highly sensitive person” by being better organized. Now, she’s known for it. 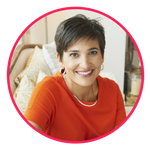 You may have seen her on television in shows such as The Social and Marilyn Denis, or in national newspapers and magazines sharing her insights and models on productivity and organization. After a diverse corporate career in the tech sector which took Clare from Toronto to Tokyo, Montreal and back, she jumped into entrepreneurship, creating Streamlife, an organizing and productivity practice. She has since helped thousands to better manage their key resources of time, space, and energy. 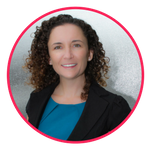 As a Certified Executive Coach, Clare works with busy professionals to boost productivity and performance in all parts of life. In a word, she facilitates “flow” – creating the desired state for excellent execution. 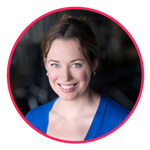 Whether coaching or consulting, providing engaging workshops, speaking to live audiences, or appearing on camera, Clare’s commitment to living a smooth and fulfilling life shines through. She delights in bringing these topics to life drawing on personal experience, world-class stories and supportive science, leaving audiences thinking differently and inspired to take action. 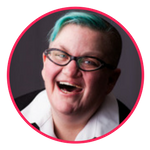 Carolyn Ellis is the founder of Brilliance Mastery and is a visual facilitator, leadership trainer, speaker, author, and organizational consultant. Combining her deep intuitive abilities, her Harvard-trained brain and a life-long love of colourful markers, Carolyn is like a modern-day cartographer, helping her clients understand the environments in which they operate and the choices they face. She supports her clients to create and sustain meaningful behaviour change through Actionable learning, a high-impact, cost-effective learning platform designed to help time-starved managers improve communication and engagement with their teams. 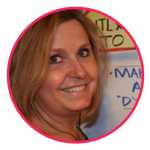 Carolyn is a Certified Team Performance Practitioner with Grove Consultants International and a member of the International Forum of Visual Practitioners. Her next book, is “Savvy Solutions: How Working Visually Helps Engage Teams and Accelerate Results”.